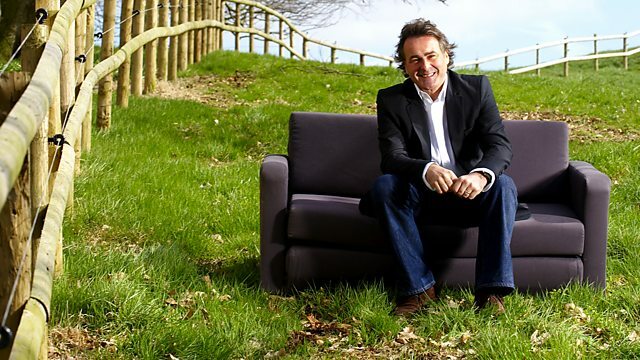 Wiltshire 22 ‹ Series 12 Reversions ‹ Flog It! Antiques series. Paul Martin presents from Longleat in Wiltshire, home to the 7th Marquess of Bath, where he is joined by experts Claire Rawle and Michael Baggott. Browse content similar to Wiltshire 22. Check below for episodes and series from the same categories and more! of the team at our valuation day, so I better get my skates on. Today's valuations come from Longleat, in Wiltshire. was built by Sir John Thynn, a political player in the Tudor court. which has been growing ever since. with over 40,000 volumes catalogued within seven libraries. the volumes arriving outside the house that we're interested in. sunshine, the crowds are already gathering in their numbers. and take it off to auction. enjoy immensely, as they get to meet all the local characters. My family might have used these planes here. I'll get Paul to come and have a look at that. That is right up his street. I'll have a look at that tool box later on in the show. There are certainly plenty of treasures to go around. -Oh, you've got quite a selection. -A Longines and an Omega. -But I've got a gold one here but no name on it. I like this one, sort of like a jumbo watch. Which reminds me, we can't keep our Flog It! fans waiting. It is time to get cracking with those valuations. where better to set up than in the gardens here at Longleat? here is what is coming up on today's show. Barbara is shocked to discover the value of her Beatles signatures. -This is, of course, if they are all genuine. but equally, I wouldn't like to say yes. So are they are or aren't they genuine? Well, find out when the bids come in later on in the show. so it is lights, camera, action. This is where the action is taking place today, outside, right here. and join up with Michael Baggott. He has spotted a real gem. So, Wendy, I absolutely love your rat. Is it something you've bought? -No, my twin sister bought it many years ago. -You're joking! At a car boot? And she only paid a couple pound for it at the most. -So, did your sister give it to you? and they all come to me. -Did she know what she had bought? -So, she knew it was a netsuke? -Something like that she told me they were. This is not the best netsuke in the world, but it is a very nice one. toggle that you would use to secure an inro or a sagemono. And sagemono just means various hanging things. suspended from the obi, from the band. -and stop anything falling on the floor. Netsukes are carved in different materials. The best ones tend to be carved ivory. a nice little exotic hardwood like this, is easier to carve. That is going to be something like a tropical rosewood. -And if we look, we can see the two little holes in the base. pouch would have passed through. -that two-character signature of the artist who carved it. And the detail is quite nice. It is not very fine. picked out and it will almost come alive in your hand. But this is a lovely, middle-range example of a netsuke. In terms of date, we are looking towards the end of the 19th century. So we are 1880 to 1900. Any ideas of what it might be worth now? -Let's say £30 to £50. -And let's say a fixed reserve of £30. So it is very much entry-level. -there has been massive modern copies. and people are a little bit wary about them. -But that's right as rain. You now, that is 120 years old. you'll have to find out the other three. I'll have to find the others out again, yeah. -Thanks very much for bringing this in. -Thank you. Thank you very much. to hold in place items hanging from the sash of a kimono. carved up by artists Masanao and Tomotada. So, dig them out, Wendy, you never know what you've got. a hunting crop and a switch whip. What is the history behind them? Well, that was my father's hunting whip. And I don't know really where he acquired it from. The crop was given to me by an elderly gentleman. in a German prison of war camp. to discuss the prisoner of war situation, sending passes and so on. And thereafter, he remembered every birthday and Christmas until he died. -That was one of the presents that he gave to me. -So it probably came from his family, then. -It might have done, yes. -I don't know where he got it from at all. -Your dad was a prisoner of war. -He came back all right? -He did. He certainly did. I met him for the first time when I was about five and a half. obviously, it's a fairly standard design. and it dates from the Edwardian era, it's about 1906. -This part, the T-piece, is used for closing gates. -This is actually made of antler. -It is always made of antler. cos it gives you a surface to grip with. And then a leather band here and a leather-plaited thong. And as you see, it has lasted for years. -And as long as it is cared for, it will go on for more years. This is Victorian, so a little bit earlier. And then very much used as a switch stick. in the hand on the side where your legs weren't. if you were a lady, you would've ridden side-saddle. -Not many road astride at that time. -No, I suppose they didn't. I don't think it's hallmarked anywhere. very typically Victorian with the scrolling foliage. And it has got a little name at the top. And this is so pretty here. Little mother of pearl, little handle. And it is engraved with a thistle. Are you responsible for the damage? so I think the time has come to flog 'em! -cos they go to the same sort of buyer. -I think they should, yes. So, if you're going to do that, I'd suggest an estimate of 80 to 120. -I would put £80 on them as a reserve, perhaps with a bit of discretion. We'll look forward to seeing you at the auction. And I shall look forward to being there. and that marvellous tool chest. So, tell me a little bit about this. I guess you're the man to do that. -These were yours, were they? -No, these were my father's. so there is a connection between these tools and Longleat. -Right. So what trade did you take up? -You are a carpenter as well? You followed Dad in his footsteps? -You must have used some of these planes. I tried using the big one at the bottom, what they call a triplane. and run it down or go down to the DIY shop. -To be married to a carpenter is pretty handy. -Your house must be in tiptop condition. Just look at the fruit wood, look at what you are using there. Some of those planes are beautifully made. -I would say some of these date back a good 150 years. What catches my eye are this sort of thing. put a groove on the side of the wood. -And there is lots of varieties of moulding plane there. Yeah. And I mean, that's lovely, isn't it? -Look how beautiful that is. Look how beautiful that is. Have you any idea what sort of value all of these planes are? I'd say you are about spot on. If I had to put a value on this, I'd have said £100 to £200. You are looking at about £6-£8 per moulding plane. Again, the same sort of money with the big jack planes. well, that's worth a good £60 to £80 as well. A fixed reserve at 100. Hopefully, we'll get that top end. -And I'll see you both in the auction room? exactly what I'd like to get my hands on. cos you've come a long way here, haven't you? Well, I have, I've come from London. -..and be out of London for a couple of days. -You're making it a holiday? -Just for a couple of nights, yes. -Excellent, well done. Anyway, to business. and pocket watches, all from sort of different eras as well. So what can you tell me about them? I can't really tell you an awful lot. I know that the larger one was my grandfather's. In fact, I think both of the pocket watches were. I don't know how old they are. And I'd be really quite interested cos recently my uncle died. -So I've really got no-one to ask. -So, were the wristwatches your uncle's, then? -This one is Victorian, the large, the sort of jumbo sized watch. And then you've got the more standard. Again, both open-faced pocket watches. and this is the earliest of the wristwatches. and it is quite a thick case. bit like the pocket or the fob watches that you saw at the time. The two at the end here are much more recent. We've got two very good makes - Longines and Omega. maybe sort of the '70s, into the '80s. Oh, I didn't realise they were that recent. because people always like retro styles. These are much more collectible, whereas those are more practical. So you've got quite a mixture of ages and styles. You've dumped them out of a drawer somewhere, haven't you? -You decided the time has come. -in the next couple of months. -to remind me of my uncle, who was my favourite uncle. hidden away. As a group, we're looking at £300 to £400. -it's whether something can be worn and used. -I am, very much so. Well, I'll look forward to seeing you at the auction. -to remember your uncle by. the Farleigh & District Club on the River Frome. -Absolutely, you got the right day. club chairman and river swimming devotee. This is brilliant, absolutely brilliant! And there is a lot of people here. you wouldn't know it existed, would you? No. For a long time, it was a bit of a secret. But it's got out now. And I see you've got some facilities. You've got some port-a-loos and some... Well, a little changing hut. -Our pavilion, I'll have you know. -It's nothing like a pavilion. so it is better than nothing. How long has that been there? It goes back to the 1930s, when the club started. -So it is a bit of our original property. I guess that's what it's all about - getting back to basics. -That's the kind of show we are, really, we are pretty basic. invited some casual swimmers to start a club on their land. Soon, changing huts were built and diving boards erected. There was camping nearby, too, and even a club flag. So the 1930s were a bit of a heyday for this club. That is when it was started. -What happened during the Second World War? -You couldn't go to the coast. -So you had to come here if you wanted to swim, or some other place. And, of course, a lot of our guys signed up. And 12 of them never came back. those young men leaping carefree from the boards. or lost in action, like Ted Hamilton, a Swordfish pilot. dedicated to their fellow members who had lost their lives. thanks to modern health and safety regulations. with these forlorn reminders of times past. the 12 members who were killed in action. a blackened piece of metal was found in the river. And it scrubbed up rather nicely. just a few yards upstream, at Stowford Manor Farm. as he felt the memory of the men deserved a ceremony. but also what is happening today. And what was it like being at that service? I have to say, it was very emotional. and we felt we were representing our 12 dead members. one of the names of the deceased. to fully understand and embrace it, I think I need to plunge in myself. -Not too bad, he's says! Not too bad? It's freezing! Actually, do you know what? If you keep moving, it is really refreshing. a wonderful feeling of connecting somehow with nature. It really does feel like you are escaping the real world, doesn't it? You're escaping from materialism, and this is the real world. Mm. This is how nature intended it. People say, why do I like wild swimming? and I just wonder why people want to swim in concrete pools. up across the country that clubs such as this went into decline. was one of the few river swimming clubs remaining. and a number of recent publications about wild swimming. But is the locals who make the most of the river. It's just like a piece of heaven here. You just feel wonderful. Your skin and your hair feels lovely. And it is a lovely place to relax and just unwind and lose yourself. getting down with a life routine. and enjoy life, live it to the maximum. And just embrace everything. I feel invigorated. I'm freezing cold, but I tell you what, I feel fantastic! Please check out a local river swimming club near you. As long as it is run properly, it is going to be safe. And I tell you what, you're going to have so much fun. So, back in the water to keep warm. Devizes' Auction Rooms, to put those valuations to the test. it's now time for the bidders to decide exactly what it's worth. And here's a quick recap of what we're taking with us. that's round 120 years old and bought for only a couple of pounds. There's the whip and the riding crop. Marin has decided she wants to flog 'em! So, let's hope they trot off with a new owner. so let's hope she gets a good result. where today's auction is happening. It's already filling out with browsers and bidders. And wielding the all-important gavel is auctioneer Alan Aldridge. Well, it looks like the bidders are taking to their seats. The auction is just about to start. Whatever you do, don't go away. commission to pay. Here, it is 18%. That includes the VAT and all the other little, hidden extra costs. But factor that sum into your cost, won't you, because it does add up. let's hope our first diminutive lot wasn't hard to spot. we have a little netsuke belonging to Wendy. Some of these can be worth, as we know, an awful lot of money. It's a lovely 19th-century rat. -I think it is just amusing and it will find a home today. right now, it's going under the hammer. A netsuke in the form of a rat. Give me £35 for him. Ten to get me away. Ten I've got. I've got ten. I've got 15. At £15. At 15. Is there 20? At 15, is there 20? At £25. What about 28? £28, and that hammer has gone down. That is a sold sound. He used a bit of discretion. You know, it was a car boot find and it was a gift, so cost you nothing. -It'll buy my grandchildren some ice cream on holiday. Well, I couldn't think of a better way of spending your money, Wendy! I've just been joined by Marin. And I think these are quality. Fingers crossed we sell them, 80 to 120. I don't think it is a lot of money. Are you happy to sell them now? -Oh, yes. Yes. I hope they'll whip up a bit of enthusiasm. -We hope so. Anyway, we are in the right area. -I mean, it isn't a high price, is it, for the two of them? It is absolutely nothing. Let's find out what the bidders think. To a nice bid, please. Let's have £100 for them. -That's a big drop, wasn't it? 40, I've got. 50? At £50. Is there 60? At 50. It's not quite enough. I need a little bit more. -At £50. Is there 60? I'll take five if anyone would like it. The next lot is the one I valued. -Michael, it's great to see you again. lovely box, which really belong at Longleat, don't they? I think of things made with precision and love and discipline. it's going under the hammer right now. This is it. containing 13 tri-moulding planes, etc. Start me at £150 for it. 100 to get me away? 50. 40. 30. 30 I've got. 30, I've got 40. Go on, then, at 98. Is there 100 anywhere else? Sold. £98. Well done, you. -And well done, Alan, on the rostrum as well. Hopefully, in a craftsman's workshop. Or a nice olde-worlde pub. so Jean can buy something special to remind her of her favourite uncle. We're looking at £300 to £400. Hey, you're selling the watches. But this is Jean's first ever visit, Claire, to an auction room. -And it's noisy, it's really loud in here. There is a cracking atmosphere and things are flying out the door. We'll find out what the bidders think. Here it is, going under the hammer. Very interesting little lot of watches. Five items in total. And should be somewhere around about £350, £400. Three to get me away. 150 I've got. 150 I've got. -Yes! The hammer's gone down. you had a great day out on Flog It! and you sold something. -Oh, I certainly can. It's been fabulous. And you're going home with a bit of money. Aren't you right. That's fabulous, thank you very much. At £30 on my left. Well, that's our first visit to the auction room done and dusted. throughout history who were born in the places where we visit. architects, who was born just a few miles down the road. I'm, of course, talking about Sir Christopher Wren. the London skyline - St Paul's Cathedral. it's even survived the Blitz. And below it, some of the country's greatest events have taken place. But what about the man who designed it? his name is all over this city. And today, I'm here to explore some of his hidden treasures. location in Wiltshire in 1632. But it is here, in London, that his legacy would be most prominent. the Royal Naval College in Greenwich. But he had no formal training as an architect. would use to create their visions. secure his name in history. destroyed over two thirds of the city. That was over 13,000 homes and buildings. Officially, the death toll was just six people. it was more likely to be hundreds or even thousands. and the obvious choice to lead a rebuilding programme. and was already drawing up plans to rebuild the city. He was soon involved in scores of other new projects across London. exactly the same height as it is the distance. that Wren really cares about the finer points of detail. And there's also a tube station named after it. because housing regulations weren't really enforced back then. and were engulfed when the fire took hold. realise just how dangerous the buildings in London were. to make London a much safer place. But Wren's work had other surprising consequences. and metal workers were all in high demand, replacing what was lost. Wren is reputed to have built a pub on this site. he could observe the work at nearby St Paul's. enjoy a sup of ale when their work was done. He realised that people needed more than that. and Wren constructed over 50 new ones. And it's where the phrase "Born within the sound of Bow bells"
out about the tower that Wren built. -but when you look up and see the tower, wow! possibly rather less so in the facade of the church. You can see that, it is quite noticeable. -I mean, that is on a par with St Paul's, that tower. It is his second most ambitious project. -And it is the second most expensive project. Why is this church so important to the city? and everybody else in the city that the working day was over. and then the city settled down for the night. -you were a true Londoner. ..that meant that you were Londoner. to be born within that sound. Resonating throughout our history, that's incredible. I didn't know it was from this church. You think it is in Bow, in East London, but this is Mary Le Bow. of Cheapside, which was the main trading street in the city. That's where the hub of the city was. Absolutely, the centre of the city. -And obviously, the bells still ring out today. -Yes, and a new tower. which are wrung very regularly for services and celebrations. Londoners can still live and work within the sound of Bow bells. His legacy stretches far and wide over this great city. a building designed by our most famous architect than you think. -Having a good time everyone? later on in the programme with lots of money! They could have that hidden gem. who has indeed found a hidden jewel. Hello, Sue and Debbie. It is lovely to see you. You look glorious! Well, you've brought along something so pretty today. -So, shall we have a look at it? And there it is, a little piece of treasure. That is so, so pretty. a chain, but what can you tell me about it? It belonged to my husband's aunt. And when we were tidying up the house, we found it. I've loved it. -I've worn it a couple of times. -And only yesterday you found the actual box. and I suddenly found the box to put it in. -Just sort of sitting around in a drawer somewhere? and a nine carat chain in there. And at the back of it, if we just have a little look at it. Then you've got the brooch. It has got a brooch pin. Yes, I've worn it as a brooch. You know, this is a good multipurpose jewel, then. It is the sort of thing that could be worn. just like it displayed in boxes. -I mean, it is just so beautiful. -It is dainty with not being too big. you feel it's lost when you wear it. Right, though, I understand you've got the link, haven't you, at home? -Yes, a link which goes just to the chain. Cos it needs something that means that it can hang on the chain. So it's quite important to get that bit with it before we auction. -I found it on the carpet this morning. Right, OK. Just glad it didn't go up the Hoover, I guess. Good, so we'll get the link with it so it can hang on its chain. Now, I think it will actually sell very well. I think you're going to be looking close to £300 for it. -Really, I'd say an estimate of three to 350 on that, very easily. just perhaps pitch it under the 300, perhaps at 280. I really wouldn't like to see it go for any less than that. -No, I think the same actually. I shall very much look forward to seeing you at the auction then. why don't we take a few minutes to do some exploring inside? Longleat House opened to the public in 1949.
or housekeepers to show visitors around the house. in the Green Library, looking at some books, as you do. He heard voices close by coming towards the library. a void in the bookcase. He squeezed in there and hid in there. He didn't want to see anybody. moved around and room sizes got altered, creating these voids. noticed there was just a little, tiny gap in the bookcase like that. He hadn't pushed it too... And they pushed it open, they were curious. And they looked inside, and there he was, the Second Marquis. That must have been so embarrassing for all parties concerned. Well, I expect the Second Marquis was particularly red-faced. What a great family legend. rosy cheeks, but that is thanks to all this sunshine we are enjoying. Barbara, thank you for bringing in this unassuming looking album. -Well, that gives it away, doesn't it? So, this is your autograph album? Well, yes, I collected various autographs over the years. I put them into an album to keep them safe. -He had a member of the family who worked for the BBC. and so he thought I would quite like the autographs. Ringo Starr, Paul McCartney, George Harrison. And then on a separate one, which usually it's on a separate one. -"Love to Barbara, from John Lennon." I am not an expert by any means in autographs. but it is not actually that person who signed it. -So I think what we have to do is give these to the auctioneer. with the genuine signatures and how they're done. Because, you know, it's a BBC connection. rather than in the humdrum of a concert or something like that. Of course, we have got a dedication there. -They are always better when they are just the name. Because then they can be for any person. is collectible. But he's been going for a long, long time. He has done an awful lot of autographs. And we have got The Shadows. And of course Cilla Black. These, I think, are a matter of fives, tens, 15s of pounds. collected and it shows the continuity. Beatles signatures, any idea of the value? -and put a reserve of 800. That might be on the low side on the day. -But 800 to 1,200 certainly. and one might be signed by somebody else. There's a whole degree of grey in between. But we will leave that to the auctioneer. why have you decided to part with it now? Well, I've had them for... What, it must be nearly 50-odd years now. They don't do anything, they are just stuck in a drawer. You've got the memories, you don't need the notes of paper any more. they start to deteriorate a little bit. No, I think we are all right. Pencil is best for autographs as long as you don't rub it. -Thank you so much for bringing them in. -Hopefully, we'll have a favourable result on the day. The big question is, are those Beatles signatures genuine? Keep watching to find out. when people still used calling cards. You've brought along this silver salver or card tray, take your pick. Salver, I'm not sure exactly what it is. Yeah, well, I'd call it a card tray. I expect salvers to be that much bigger. -So tell me a bit about it, where has it come from? Well, I don't actually know very much about it at all. -many, many years ago and buy things. And this is one of the items that she just put away. She never showed it or displayed it. And I actually have not displayed it, as you can tell. So you're not overly enamoured with it either, then? -for the future, but she never did anything with it. So you've inherited it and kept it in the cupboard ever since. -Well, it is a nice thing. I like it because it is quite plain. over, it has got a Birmingham assay mark and it dates from 1939. And look, you've got a silver mark, the year mark and the maker's mark. -Obviously, it hasn't been over polished over the years. So it is very well marked indeed. It is a very nice, plain item. You do base the value a bit on weight. And we have weighed it. And it's nine troy ounces. It's not hugely heavy, but it is a good chunky piece. -you're looking at about between £70 and £100. -I don't know if that sounds about right to you. -I'll go with whatever you say. -if you are happy with that. -And it should do fine. -Have you got any idea what you might buy in its place? -Just probably put it in the holiday fund. Well, thanks for bringing it along, it's a lovely thing. -As I say, it should sell very, very well. -I'll see you at the auction, then. and Ray and Michael have both sensibly got their sun hats on. Ray, thank you for bringing in these two mysterious-looking pots. in a place called Kuning, up in the mountains. which was rationalizing its collection. These caught my eye, so I bought them. -So you bought them from the museum?! It all bodes well, doesn't it? I think they're trying to be archaic vessels. the flaming pearl, trying to achieve immortality. The lion is well done. And the little toads are well done. But it starts to fall down a bit round the collar. And you've got this ostensibly old piece of soapstone. -that looks like it has been done by a Black & Decker. in the world for producing, let us say, copies of earlier things. that are purporting to be 19th century. out of a sheet by a machine with some regularity. then the alarm bells ring. I'm going to ask you what you paid for them. Thank goodness for that. Thank goodness for that. That's great. -That's fine, it doesn't matter. I don't think that these are tremendously old. -of a four-fold return on your investment. And they may go on from there. I mean, we might be surprised. -I think just stick at £5. And maybe don't go up to six. Well, my instinct was right. But lovely to see them. Thanks so much for bringing them along. -Thank you for telling me the story. our magnificent venue for today. But right now, it's time to put our last set of valuations to the test. is a quick recap of all the items that are going under the hammer. which can also be worn as a brooch. or card tray, which is much easier to say. bought for just £5 each, I'm not surprised. And to end it all, it's the exciting autograph album. but are they? Well, we'll have to wait and see. of flurries, nods and winks to keep Alan, our auctioneer, very busy. I take it Debbie cannot be with us today. -No, Debbie is doing a personal training course today. -She's very upset about not coming to see this. -Does she want to become a personal trainer, then? Oh, good luck to her. A lot of money here. We are looking at £300 to £400? -Lovely thing, don't you think? And as you say, lovely quality. It should, I think, sell easily. And you know what we say, quality always sells. Let's find out what the bidders think, here we go. This is it. 250 to get me away. 250 I've got. 250, I've got 275. -It took a long time to get in, didn't it? Not going to dwell on it. -Well done, Alan, good auctioneering. -You best get on the phone. -I will do. Thank you very much indeed. And I hope Debbie is happy with that result, too. brought all the way back from China, on a trip in 2005. -That must have been a wonderful trip. -First time you've ever been? -Oh, you love it then. -Exactly. That is exactly what they are. Hopefully, we can get them away. Oriental incense burners, both decorated with Chinese themes. Somebody start me at £40 for them. £40 at the very back. 45 anywhere else? At £40. At £40, is there five? Well, the extra fiver helps. £45. Well, it pays for my Charity Shield tickets for tomorrow. Well, that's a great return on £10 and a fun way to spend it! we've got a 20th-century silver salver. It is not a lot of money, it belongs to Sandy. -In fact, this was your mother's, wasn't it? It's good quality English silver. -Is this valued on the scrap? -It is a bit, I'm afraid. It is a bit with this. -We want the top-end of the estimate, whatever happens, don't we? -Shall we find out what the bidders think? -It is going under the hammer now. This is it. Look, that's your lot. Hallmarked silver salver, somewhere around about £75. 60 I've got. 60 I've got. 60 I've got. 65. At 60. 70. At £70, is there five anywhere else? At £70. Gosh, that was... I tell you what, hammer action or what?! and you don't have to put it back in the attic. Well, it is certainly a nice little sum to go into Sandy's holiday fund. just before the auction, I caught up with auctioneer Alan. -Have you done your research? What we do, we have a couple of chaps who we use for advice. -We sent them to those chaps. -They came back as no. Now, we use three fellows. -but equally, wouldn't like to say yes. But only a very small maybe. So, you've revised the estimate, the new figure is now what? -With a set reserve, 150. Because there are still some good names in there. -they could still make £500, £600, £700. But by putting the secretarial, it is up to the buyer to decide. they signed them, passed them back out the door. -Looks like The Beatles signed them, but they didn't. -That is exactly what it is. -So the onus is on the buyer, yeah. Well, good luck. Good luck with that. Let's hope that we do get some high notes there. at the end of the day, it's still down to the bidders to decide. "those autographs aren't signed by The Beatles?" Well, it was disappointing, I don't mind admitting. -But, you know, you have to accept these things in life. of the other artists involved, and there are some good names there. Hopefully, we can get the top end of the revised estimate. but we think The Beatles ones are secretarial. But at the end of the day, you have got to make up your mind. I've got a few bids on my book. And I will come in at...£300. That's more of a yes, isn't it? This is good. Whatever comes of this, this is very good so far. -That is a good result. -You know, it blew that out of the water. on the side of caution that one of those autographs might be right. -Because one alone is worth £500. at Longleat, I didn't expect one today at auction. -Well, you must be pleased with that. -You know, was prepared to... OK, if I was lucky to get 150. Which would have paid for my piano to be tuned. and put some money aside towards my trip to Australia. -Fantastic! Well, enjoy it, won't you? What a brilliant result. You never can tell what's going to happen. Well, there you are. What can I say? Job done! It's all over for our owners, and they've gone home happy. That's the main thing. And one or two big surprises. and venues you can find on our BBC website. Or check the details in your local press. Dust them, down them, bring them in. But until then, from Devizes, in Wiltshire, it's cheerio. Paul Martin presents from Longleat in Wiltshire, home to the 7th Marquess of Bath, and there is a wide variety of antiques and collectibles put before experts Claire Rawle and Michael Baggott at the valuation tables, including a stunning amethyst and pearl brooch. But it's an autograph album with a set of Beatles signatures that has the experts guessing. Are they genuine or not? All is revealed at the auction. Paul also takes a trip to London to unearth the hidden architectural gems of one of Wiltshire's most famous sons, Sir Christopher Wren, and he pulls on his wetsuit and dives into the River Frome to discover the joys of wild swimming with one of the oldest river-swimming clubs in the country.